from the following online retailers and grocery stores. To ensure that you are purchasing authentic Wild American shrimp, look for the Wild American Shrimp logo or a designation of “Wild Caught Gulf Shrimp” on products in the frozen seafood section of your grocery store. 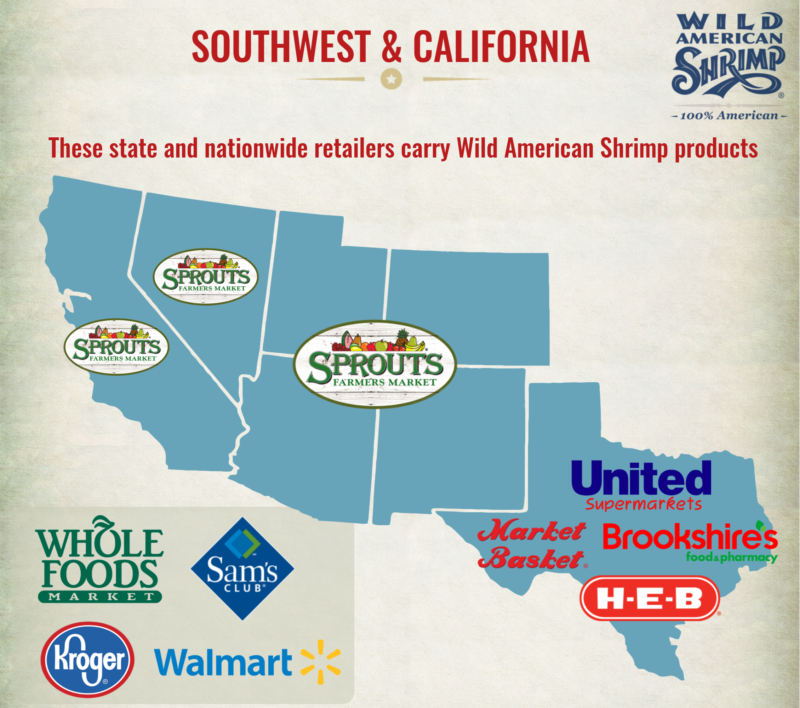 NOTE: Wild American shrimp product may not be found in every location of these chain stores due to local store buying prerogatives. Seafood marketing programs for the various Gulf and South Atlantic states can serve as additional resources to find Wild American or Wild Caught Gulf Shrimp.